Hosted and co-organized by: Collectif MU. 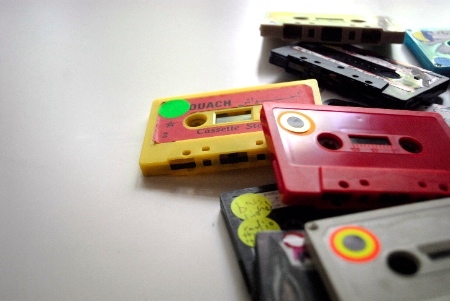 Aki Onda, who is known for his Cassette Memories project, will present a soundwalk in La Goutte d'Or neighborhood on June 2nd, 2012, as part of MU*X #5 (the 10 years celebration evening of Collectif MU). Starting at 17:30 at MU's garage (12, Rue d'Oran, 75018 Paris), the artist and audience will walk around the area together. The event will operate on the concept of a 90-minute audioscopic experience provided by Onda as he performs at several locations in La Goutte d'Or, with field recordings drawn from his personal archives. The work is part of a site-specific performance series commissioned by Birdcage, which started in 2011 as the performance at the Cour Carrée of the Louvre. Aki Onda is a recipient of International Residencies Program, City of Paris / Institut français at Récollets. Special thanks to: Collectif MU, Jean-François Pauvros and Thierry de Lavau of Campus Studio, Eric Cordier, Yasuhiro Morinaga, Francesco Demichelis, Céline Prunneaux, Sandrine Marc, Fabrizia Maselli.